Ulcers are open sores. They occur on the skin or the mucous membrane of the body and are characterized by tissue breakdown and often, the discharge of pus. 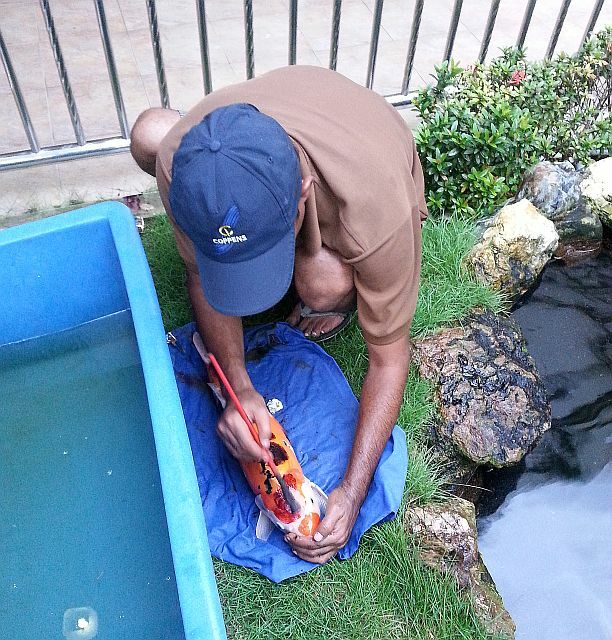 Poor water quality and inadequate aeration of the water usually stressed up koi in a pond. 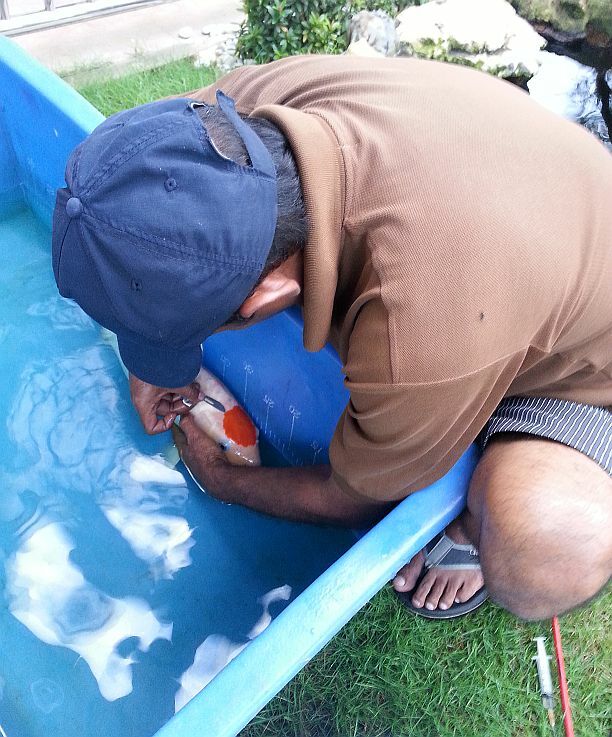 From time to time, parasites might surface and itchiness may cause the fish to rub against the pond surfaces leading to breaks in the skin and ulcer formation. Viruses cause some ulcers and Bacteria are opportunistic secondary infections. Depending on the serverity of the sores they are either treated with directly applying medicine on the sores or in advance cases antibiotic injection is given. 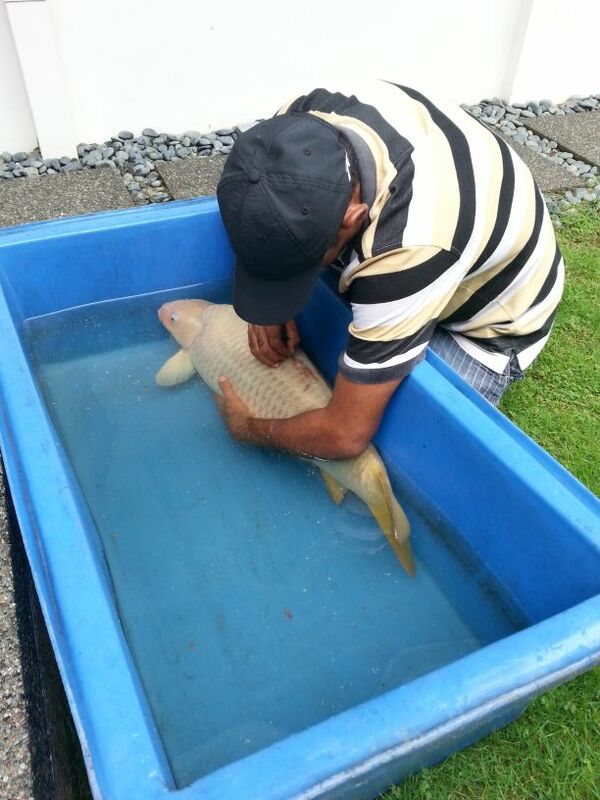 For enquiry on koi health related matters, please send your email to ongph10@hotmail.com. We will be glad to offer our suggestions and advice.